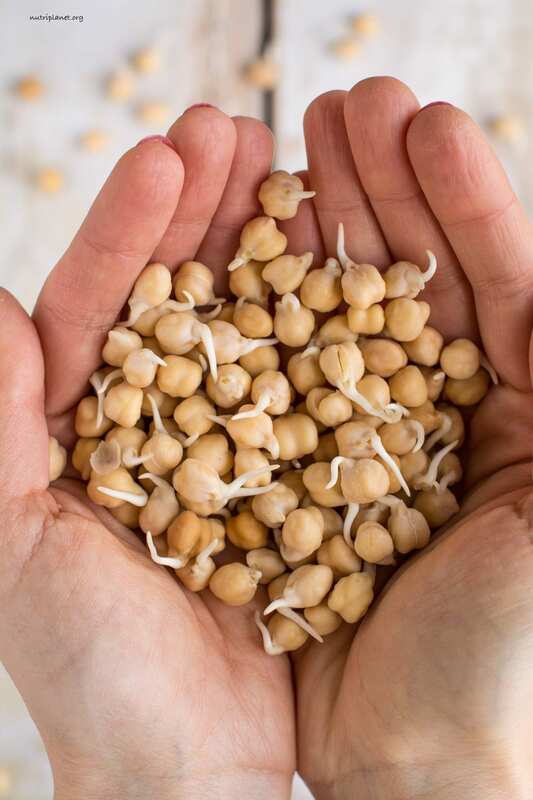 Learn how simple it is to sprout chickpeas or garbanzo beans without a sprouter for maximum health benefits and improved flavour. Use raw and cooked sprouted chickpeas in hummus, curries, stews, salads and Buddha bowls or snack on them raw. I must admit that the first time I sprouted chickpeas was totally accidental. It happened that I left soaked and rinsed chickpeas in the sieve for a day (about 12 hours), as I didn’t have time to cook them right away. And yes, as easily as that, the sprouts emerged – without any effort or fancy equipment, i.e. sprouter or sprouting jar. From that moment on, whenever I have time, I let my chickpeas sprout before cooking. 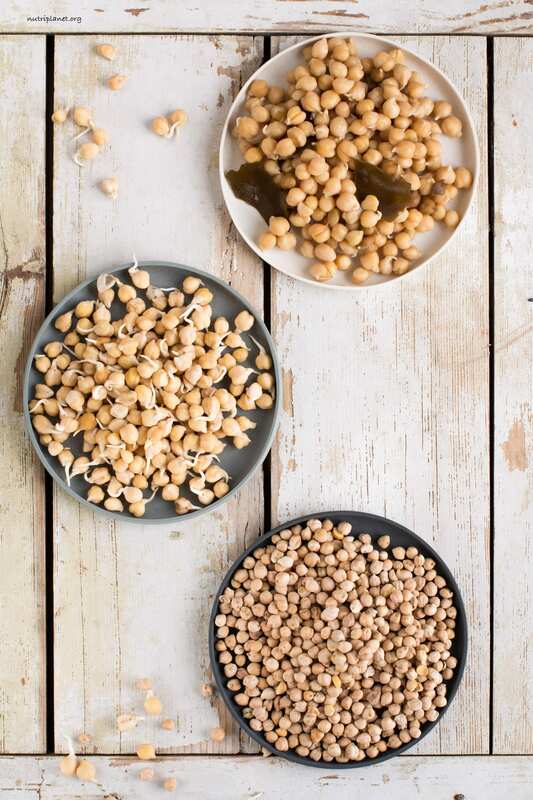 You definitely need to soak the chickpeas or any other legumes and grains. The problem with dry beans is phytates and other anti-nutrients that inhibit mineral absorption and cause digestive ailments. Soaking and sprouting activates enzymes and significantly decreases the levels of phytic acid. Therefore, by the simple soaking process you make vitamins and minerals more readily available. Removes or reduces phytic acid and tannins. When phytic acid gets converted into other substances, it is less likely to bind together with other nutrients and reduce their absorption. May reduce the beans’ raffinose-type oligosaccharides, which in turn may result in fewer problems with flatulence. Neutralizes toxins in the colon as well as enzyme inhibitors. Encourages the production of beneficial enzymes. Makes the amino acids (proteins) more readily available. Reduces the cooking time, which means less loss of water-soluble nutrients due to reduced time of exposure to heat and water. 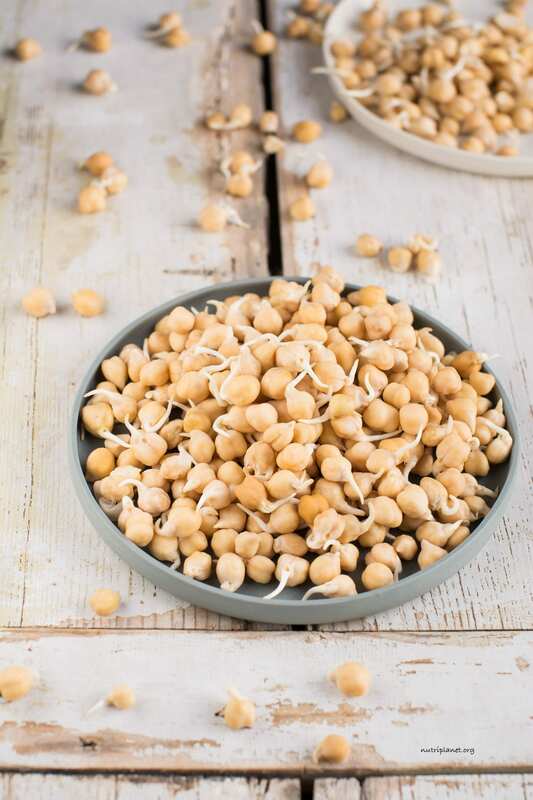 You could even go further and sprout the chickpeas before cooking as sprouting reduces the glycemic load even further (carbohydrates diminish and the content of protein and soluble fibre increases). Dry, sprouted and cooked chickpeas. First, spread the chickpeas out to remove small stones, debris or damaged beans. Then, rinse them thoroughly under cool running water. Next, place the chickpeas in a glass bowl and soak in filtered water for 8-12 hours (min 4 hours). The amount of water depends on the volume of the chickpeas. Make sure there is enough water as chickpeas expand to over double their size. If you can, change the water 2 times. Some sources recommend putting the bowl into fridge when soaking longer than 6 hours, but I have always ignored that unless it’s very hot inside. Optionally, add an acidic medium (1 tablespoon of apple cider vinegar or lemon juice per each cup of dry chickpeas) to soaking water to mimic soil’s acidity. Also to decrease the content of the raffinose family of sugars even further, add baking soda to the soak water (about 1/16 teaspoon per quart/litre). Finally, drain the soaking liquid, and then rinse them with clean water. Now, cook them or continue with sprouting process (both explained below). First, add chickpeas to a saucepan along with water and boil them for 5 minutes. Then, turn off the heat and let them soak for 1-2 hours at which point they’d be ready to be cooked. Start by soaking the chickpeas for 8-12 hours as per instructions above. Rinse and drain the soaked chickpeas and leave them in the sieve over a bigger bowl. Cover with clean cloth. Spread them out as much as you can to let the air flowing and prevent mould developing. Stir as well as rinse and drain the chickpeas several times daily until visible sprouts (that look like white tails) emerge from the chickpeas. It’ll take about 12 hours. When the sprouts have grown into desired length, store them in sealed container in fridge for later use. If you’re cooking soaked and not sprouted chickpeas, skim off any skins that floated to the surface while soaking, drain the soaking liquid and then rinse them with clean water. Next, for extra flavour and better digestibility, add a bay leaf and a small piece of kombu seaweed on the bottom of a saucepan. That’s totally optional, but I strongly suggest doing the bay leaf at least. For maximum flavour and benefits, make sure you use organic bay leaf that is intact. I’ve also tried using the conventional bay leaves and found that the difference (in terms of flavour) is incomparable. Bring them to a boil, and then reduce the heat to simmer. Skim off the foam that develops in the first 10-15 minutes. I prefer to leave the chickpeas simmer without lid to avoid the water to boil over. The chickpeas will be tender in 1-1.5 hours. If the chickpeas are still hard, extend the cooking time. Should too much water evaporate, boil some more in the kettle and pour into the pot. Read about cautions with kombu seaweed from my Lentil Loaf post. 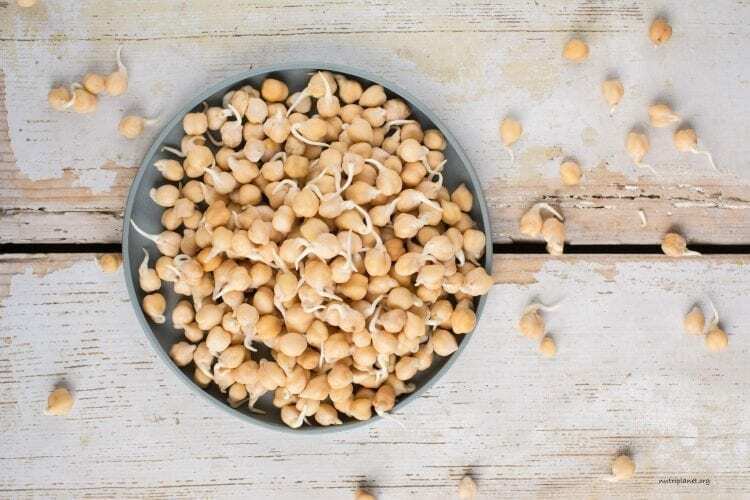 Nutritional info of sprouted chickpeas (100g, 3.5oz): 178 kcal, 24g carbohydrates (62.5% of kcal), 4g fats (18.9% of kcal), 10g of protein (26.8% of kcal), 3g fibre, and 8mg sodium. Add kombu seaweed for extra mineral boost and to ease the digestion. Like all other legumes, grains, nuts and seeds, also chickpeas contain enzyme inhibitors that interrupt with vitamin and mineral absorption and cause digestive ailments. Therefore, at least soaking is required to make them more digestible. Sprouting however, takes you to a completely new level as sprouts use the starches to grow, hence decreasing the glycemic load of chickpeas or any other legume or grain. 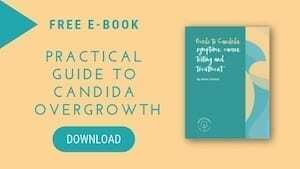 Hence, sprouting process is beneficial for anyone struggling with Candida overgrowth or blood sugar fluctuations. good source of fibre, phosphorus, protein, iron and zinc. 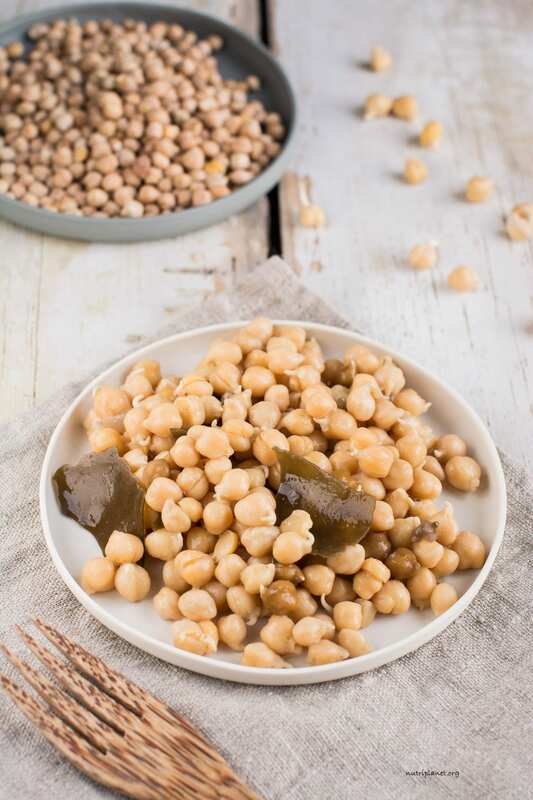 The fibre in chickpeas is mostly insoluble and it converts into short chain fatty acids in the large intestine providing support for digestive tract. They make an excellent protein-rich snack, both raw and cooked. Raw sprouted chickpeas can be blended into delicious raw hummus with tahini, black pepper, some Himalayan salt and spices/herbs. The same can be done with cooked chickpeas. Add raw or cooked sprouted chickpeas to salads, Buddha bowls, soups, stews, stir-fries. Use cooked sprouted chickpeas in any recipes that call for cooked chickpeas. For example, Vegan Egg Salad, Baked Chickpea Falafel and Chickpea Curry. Make my Vegan Omelette with raw sprouted chickpeas.